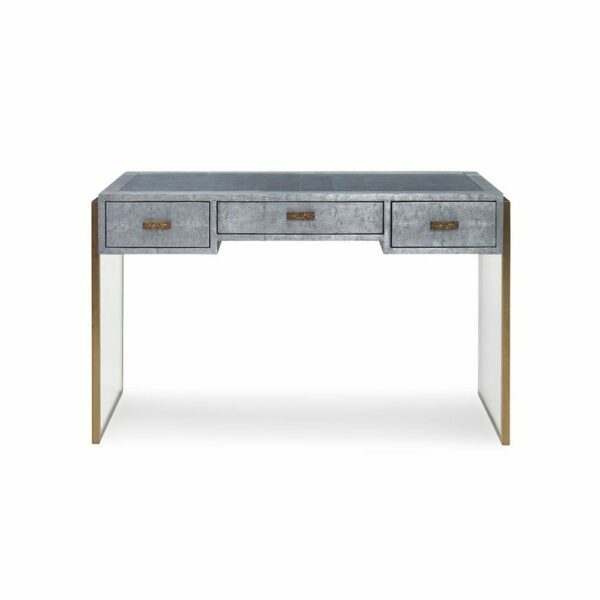 The Brooklyn Dressing Table is finished in our innovative metal shagreen. The top is inset with eglomise, features three drawers, and is supported by brass wrapped rectangular legs inset with clear acrylic panels. This isn’t your grandmother’s dressing table! Works equally well as a small desk.